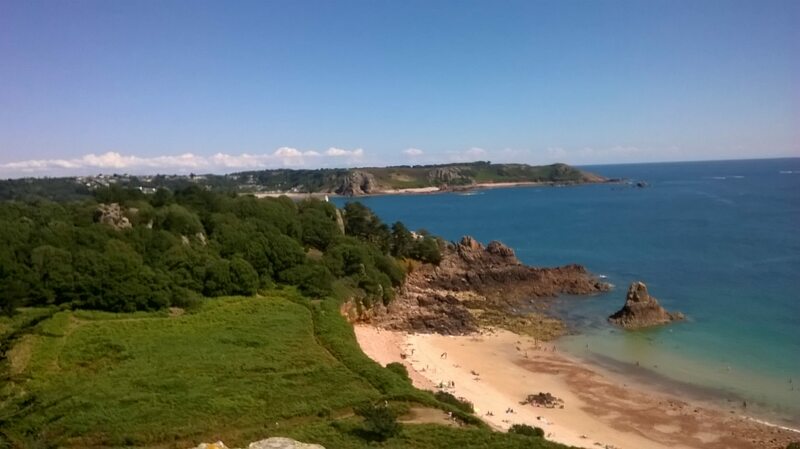 Beauport Bay on the South West coast is a very popular bay with the locals and once you have navigated through the small pebbles, the golden sands beckon. Due to its idyllic sun trap location it is perfect for sunbathing and shelter from the wind is provided by the surrounding tree lined cliffs. The waters are crystal clear and it is ideal for swimming, snorkeling and scuba diving with lots of exploring to do making it perfect for young families, you can even pick your own blackberries from the sides of the path leading to the beach and there is plenty of wildlife to explore for those more adventurous! So arrive early to get the full benefit from this picture postcard beach.